Having a home-cooked meal on your table every day is a luxury most of us cannot afford. Luckily, now you can leave it to the pros. With Diet to Go and Veestro, you can enjoy amazing meals without lifting a finger. Check out this comparison and find out which one of them is the perfect choice for you. Diet-To-Go offers budget-friendly, custom-designed weight loss plans for dieters with different preferences, dietary requirements, and weight goals. 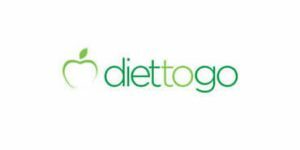 Diet-To-Go offers its customers 4 menus, including Balance, Balance Diabetes, Carb30-Keto, and Vegetarian. Each menu from Diet-To-Go features 15 recipes per week. Diet-To-Go menus feature breakfasts, lunches, and dinners suitable for diabetics, seniors, omnivores, and vegetarians, as well as individuals on Atkins-style, low-carb diets, including keto. For customers with food allergies, Diet-To-Go offers substitutes wherever possible. You can also exclude seafood from your orders. Making sure that its meals are natural and healthy, Diet-To-Go uses organic ingredients whenever possible. All of its meals are free from MSG and artificial additives and preservatives. Only several side items contain artificial sweeteners. Diet-To-Go meals are calorie-controlled and nutritionally balanced. They are heart-healthy and controlled for sodium, fat, cholesterol, and carbs. The meals are light and portion-controlled, so if you stick to the plan, your daily calorie intake should be between 1,200 and 1,600 calories. With Diet-To-Go, you can change, pause or cancel your order anytime. All changes to your order must be made by Friday 12:00 Noon Eastern Time. If you are not happy with your order from Diet-To-Go, you may receive a credit or refund, including shipping cost. The meals were mostly tasty, breakfast and dinners were best.. but the website and customer service is terrible. Requested skipped meals were ignored or substituted meals not correct. The bad meals I couldn’t even eat some portion of and the fruit cups were gross. I liked the few times they gave me a piece of fresh fruit than mixing different kinds of citrus in a serving cup. I didn’t lose any weight in over two months of using the service, just maintained. The yogurt parfaits they made were disgusting but the Greek yogurt options were great (chobani). I have done so well before and lost 11.6 pounds. I love all meals except for spicy meals and the breakfast omelet and the citrus fruit but everything is delicious I hope that I do well and can keep going and doing well. I will keep up the good work. Keep it up with the good meals. I do my meals and substitutions and one week I was upset I didn’t eat the food since I didn’t lIke it and very understanding you were and I love it and you are my best diet and it is great. I will keep it up.